St James Primary School is a popular primary school based in Armitage, Staffordshire (UK). First established in 1915, the school caters for children from the ages of 4 to 11, and have been serving their community for over 90 years. Original custom design & build: Embracing St James's existing school colours, we set about creating a site that would engaging and useful to both children and adults. Logo recreation: The schools existing emblem was sensitively recreated to create a definitive branding for the school. 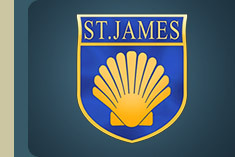 As well as being used within our Website design, our new logo artwork has been subsequently used on the schools computer desktops and professionally printed onto several St.James branded fund raising products. Image scanning & formating: Scores of slides and photographs were scanned in and appropriately formatted for use within the sites gallery area. Various images were also painstakingly enhanced and manipulated for inclusion within the site. When the site's enquiry form is used, the contents of the form are immediately sent to the school, whilst an automated "thank you" response is also courteously sent out to the enquirers email address. 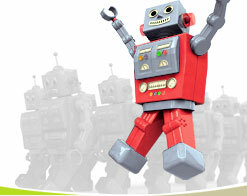 Our enquiry form feature also incorporates various sophisticated anti-spam filters. Six custom created Flash games: As a splash of fun for the site we created SIX fast loading games using Macromedia Flash. These games serve to be fun, whilst also being educational, effectively helping to develop the children's hand to eye co-ordination / computer and even literacy skills. Pupil involvement: With the help of the enthusiastic children at St James, one particular game that we created was a classic 'word search' with 28 puzzle variations. To achieve this, we first gave a selected class a set of Akumenta word search design guides / grids on paper. They then filled out the grids with their own imaginative choice of subjects and words. Once the children had created their 28 different word puzzles on paper we then cleverly assimilated them (along with each authors name) into our interactive online game, so as to form part of St James Website. In-house development: As with all of our work, every element of these games was created from scratch and developed entirely in-house by the Akumenta team, including the original sound tracks. Historical comparison: After being handed a wonderful old photographic postcard of the school, dated some time around 1910, we could not resist visiting what is now Longdon's village hall and taking an up-to-date photograph from exactly the same spot where the original photographer must have set up his camera almost 100 years ago! We then took both past and present images and creatively placed them in a custom Flash feature enabling them to be faded between each other. This feature was then placed to great effect on the St James Website's history page. Puffin crossing guide: After much local campaigning, the residents of Longdon and the parents of St James were eventually rewarded with the new installation of a Puffin crossing, providing safe passage across the nearby busy A51 road. To celebrate this we created a brief but informative piece of animation demonstrating how to safely use the new crossing. 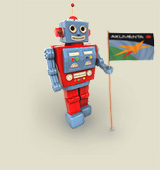 This was then added to the front page of the StJames Website for all the children to use. Our feature was also highly commended during a visit to the school by a local road safety awareness officer. Format conversion: Various files were appropriately converted into formats more suited for Web use and good end user compatibility. We continue to routinely provide this ongoing service as part of our standard Web hosting remit for St James (see below). This ensures that all visitors to the St James Website receive the best experience. Web hosting and housekeeping services - an ongoing commitment: Through our own fast and reliable hosting services we successfully deliver the St James Website around the world. As part of our annual hosting remit we also regularly handle all Website content updates for St James. This includes keeping their calendar and vast online gallery up to date. Schools ...don't be held back by your budget! We have a good understanding of the budget constraints that most schools experience, especially primary schools. Accordingly, we see every school Web project as a superb opportunity to demonstrate the excellence that can genuinely be achieved for a reasonably low fee. Indeed we are well aware that we charge far less for our custom crafted Web services than many of our competitors demand for simply passing on generic template based designs. (We are also aware that many companies see the public sector / schools as an area where they can often charge MORE than they usually would a private customer, a practice that Akumenta wholly denounces). Simply put, excellence and individuality in the realm of Web development for schools need no longer come at an impractical cost. Continued care and service: We also understand that it's not always easy to set aside the time or staff needed to keep a Website up-to-date once it has been launched. Accordingly we provide generous / flexible ongoing 'housekeeping' and updates as required all-year-round, as part of our standard and affordable Web hosting remit, meaning that you don't have to! OFSTED: Also worthy of note is that the appropriate use of technology & the use of such technologies to keep parents informed etc, can be of significant benefit to OFSTED appraisals. If YOU are a school looking for friendly advice from an experienced and affordable Web developer, then we would love to hear from you. Even if you already have a site with someone else, we can most likely save your school money and offer you a better service all round.